Thanks to UFCW members, Congress is returning from the Memorial Day recess feeling more pressure than ever to oppose fast track legislation that will rush through the secretive Trans-Pacific Partnership (TPP). Throughout the recess week, UFCW members were fighting to stop this unfair agreement by going to phone banks, canvasses, and the district offices of their Representatives. UFCW Local 1262 in New Jersey held a press conference with Representative Bill Pascrell that was attended by more than 200 people. With Congress back in session, now is the time for every UFCW member to get involved in this fight. The final vote is expected by the end of June and it is going to be close. 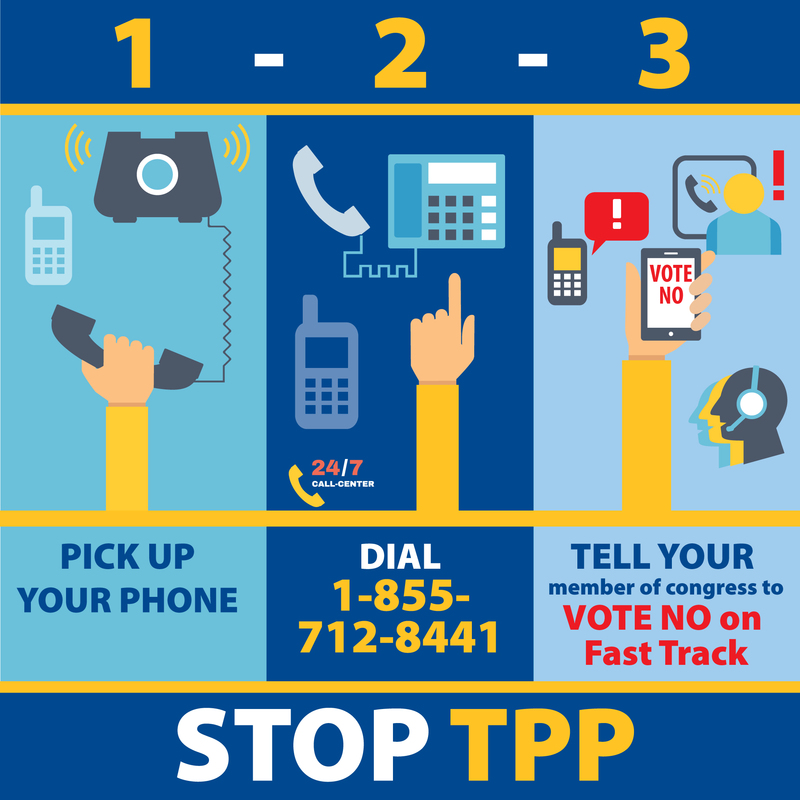 We need UFCW members to call their Congressperson and tell them to vote NO on Fast Track. Every member of Congress needs to understand that supporting this bill will cost votes in the next election. Dial 1-855-712-8441 to be connected with your Congressperson. Hello, my name is _________. I live in _________. 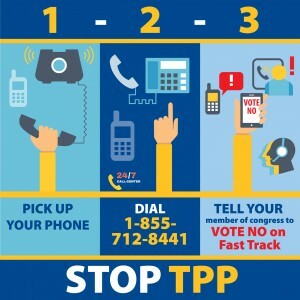 I am calling to urge you to vote NO on Fast Track. This bill will send good jobs overseas and give more power to giant corporations. You will lose my vote if you support it. Shareable online graphics can be found on the Facebook page of the International. The more members we can get to call their Congressperson, the greater chance we have at winning this fight. 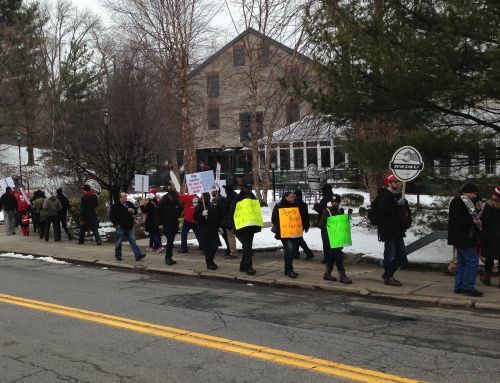 UFCW/RWDSU members rallied to show support for Rivervue assisted living workers as they fight for a fair contact. Over the weekend, dozens of UFCW/RWDSU members and other community activists came to Tuckahoe, New York, to rally in support of workers at The Fountains at Rivervue, an assisted living facility. Rivervue workers are demanding a fair contract and calling on management to bargain in good faith. Workers are also protesting management demanding that employees pay more money into an unaffordable health care plan. Members from UFCW/RWDSU Locals 108, 262, 338, 670, and 1102, along with members from UFCW Local 1500, marched in front of the facility and chanted their support for the Rivervue workers.